The children, and I watched Dirt! The Movie on instant view through Netflix. Apart from being from a big bang, evolutionary, and extreme environmentalist viewpoint, it's a pretty enjoyable documentary about the importance of taking care of the soil, with some cute, and engaging animation. 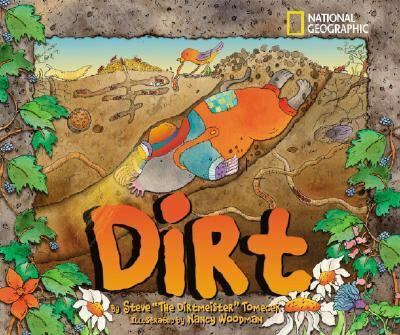 I don't think the children are going to forget there are microbes living in the soil, anytime soon. But, we were really looking for something that told us more about the actual make up, and development of dirt - something that would expand on our reading of Steve Tomecek's Dirt. Something, like Brain Pop's short animated video on soil, that explained in simple terms, the various layers, or horizons of soil. Brain Pop is a subscription site, but if you haven't checked it out yet, they do have a free trial. I decided to simplify things even more for the children, with a cookie and pudding parfait style snack. The bottom layer was sugar cookie "bedrock". 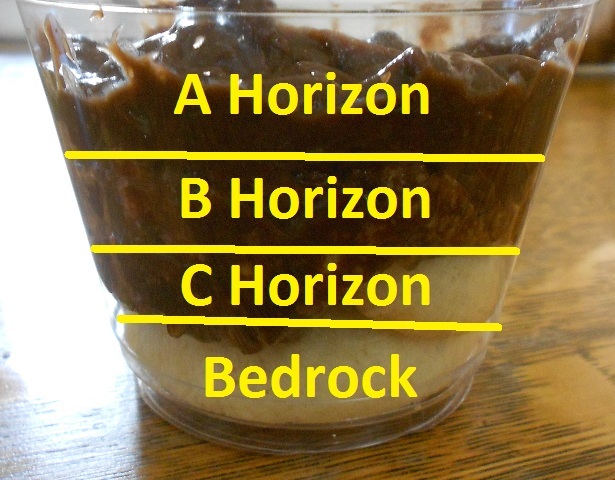 ...which was made by mixing the pudding "topsoil", with cookie crumb "gravel". ...topped off with nuts and butterscotch chips, for a smattering of "organic material". 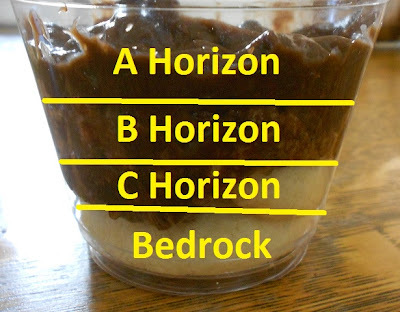 Somehow, when I saw your first post about dirt, I knew a pudding snack was coming, but I had no idea it was going to be this wonderful! I remember back before Brainpop was subscription and used it all the time as a teacher. And it looks like a very tasty desset! Ticia - It's the one subscription site I keep renewing - we use it all the time. Is there anything that you cannot remake into terrific dessert? By the way, I am curious - do your kids ask questions when they encounter evolutionist point of view? Anna asks very interesting questions every time we run into God in books and movies. Natalie - We've kind of covered the whole not-all-scientists-are-Christians thing, so they know not everyone beleives in a Creator. We try to focus on the facts of what is being taught - "Do they really know that, or is it a theory, based on a belief of spontanious creation? ", "What facts might they be overlooking, because they don't believe in a young earth, or in the flood, or that sort of thing?" I think it's important for them to understand where popular science is coming from, and to be able to realize that all science is a process of trying to "shine light into dark corners", but that there are still a lot of dark corners, and mis-steps to be made, and that doesn't mean scientists are deliberately trying to deceive people - they are making educated guesses based on the best facts we have available right now.